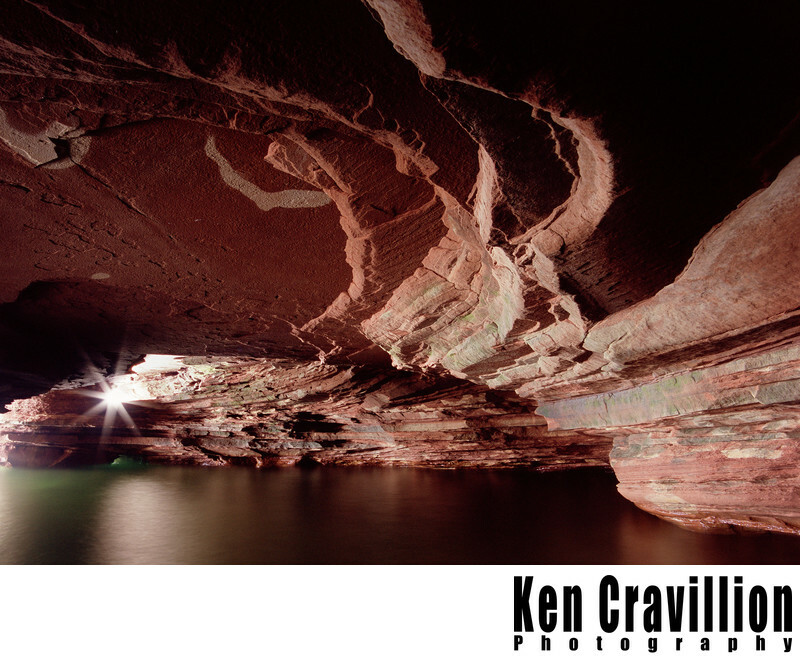 The Apostle Islands National Lakeshore is a great place to photograph the sea caves on Lake Superior. This photo was made on my first trip to the Islands. I rented a kayak from an outfitter and we paddled to and camped at Sand Island. I photographed this with a Pentax 645NII medium format film camera and Fuji Velvia film. I set up my tripod in the waist deep 60 degree water for this.